Objectiver is a modelling and support tool for writing requirements documents. 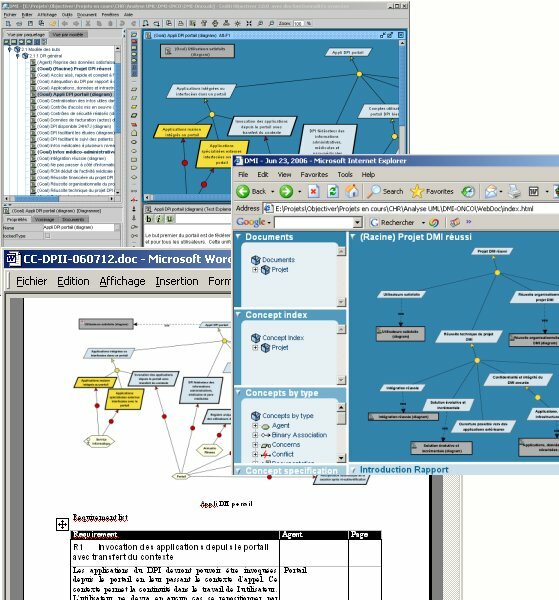 It is conformant to the KAOS methodology and allows one to derive from the requirements model requirements documents in Word format that are complete and consistent. A entire Web site is dedicated to Objectiver. Any information regarding its functionalities, the available versions and conditions for use can be found there.